in conversation with Dr Gene Sherman and Dr Patricia Marechal-Ross. Rémy Fenzy directs one of France’s prestigious Ecoles in the culturally rich city of Arles. The École Nationale Supérieure de la Photographie (ENSP) is a highly selective tertiary institution and France’s only such institution dedicated to photography. Graduates emerge as ‘authorial photographers’ rather than technicians or photojournalists and are often to be found in curatorial and conservation positions and professions that bind photography to museological practices. Since its establishment in 1982, ENSP has trained approximately 600 students from France and abroad, promoting excellence and creativity. The school has strong links with les Rencontres d’Arles, the celebrated Arles photo media festival, and collaborates with overseas institutions to promote photography education. Rémy is one of 16 national and international industry leaders conducting portfolio reviews as part of Head On Photo Festival 2016. 6–8 pm, conversation to commence at 6.30pm. Rémy Fenzy is the director of the National School of Photography, École nationale supérieure de la photographie, in Arles, France. Rémy studied art history, photography and philosophy at Panthéon-Sorbonne University, Paris, and received a scholarship from the French Ministry of Research for his doctoral studies. Rémy was previously the cultural attaché of the French Embassy Reykjavík, Iceland and curatorial advisor at the Reykjavík Museum of Art. He was the curator and program manager at Grands Bains Douche de la Plaine, Marseille, an experimental space for research, discussion and exhibition. He has taught at the University of Valenciennes and Aix-Marseille University. 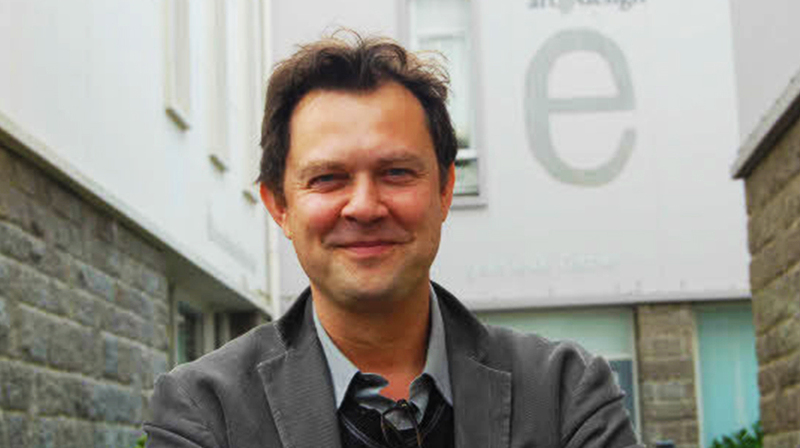 Between 2004-2010, Rémy was the director of Brest Art School, École supérieure des beaux arts de Brest. Rémy’s articles have been published widely in journals, periodicals and exhibition catalogues. Patricial Maréchal was educated at the École Normale Supérieure in Paris and received a PhD in Australian literature from the Sorbonne, before moving to Sydney. She has taught French and English at secondary and tertiary levels. Over the past few years Patricia has interviewed many women writers including Ingrid Betancourt, Catherine Millet, and Sarah Turnbull for the Alliance Française, and Nikki Gemmell for the St Albans Writers’ festival. Patricia has spent all her life reading and through her work aims to help writers’ voices to be heard better.